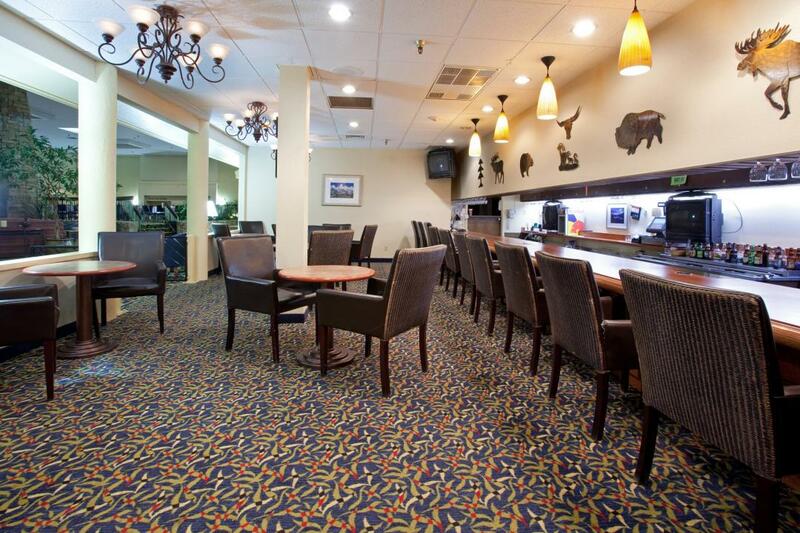 Red Lion Hotel & Conference Center Cheyenne is the destination for your upcoming business or leisure travels. Choose from 245 rooms and suites, each equipped with free Wi-Fi and a spacious work desk with extra outlets. Ready to see the sights? Hop aboard our free area shuttle to reach attractions downtown. 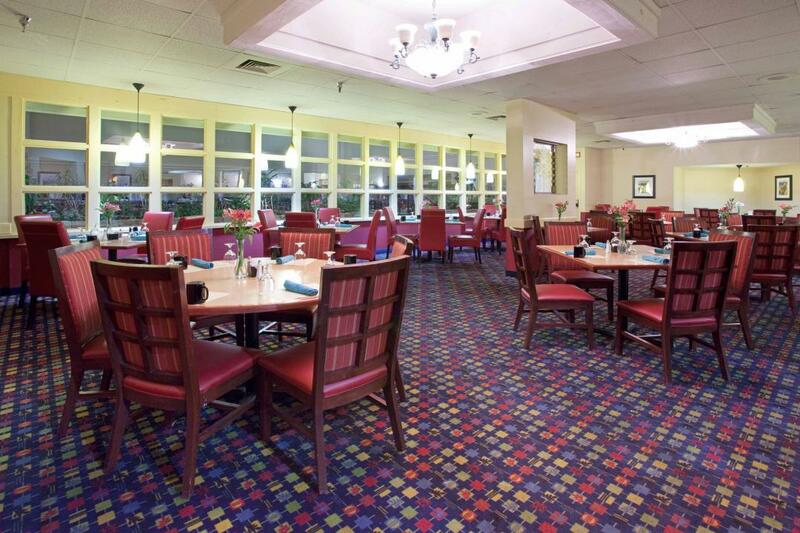 Whether you're eating at our Sandalwood restaurant (Kids 3 and under are free, kids 5-10 are $5.95), lounging at our indoor pool or getting in a workout at our fitness center, let Red Lion Hotel & Conference Center Cheyenne make your next stay the perfect one. 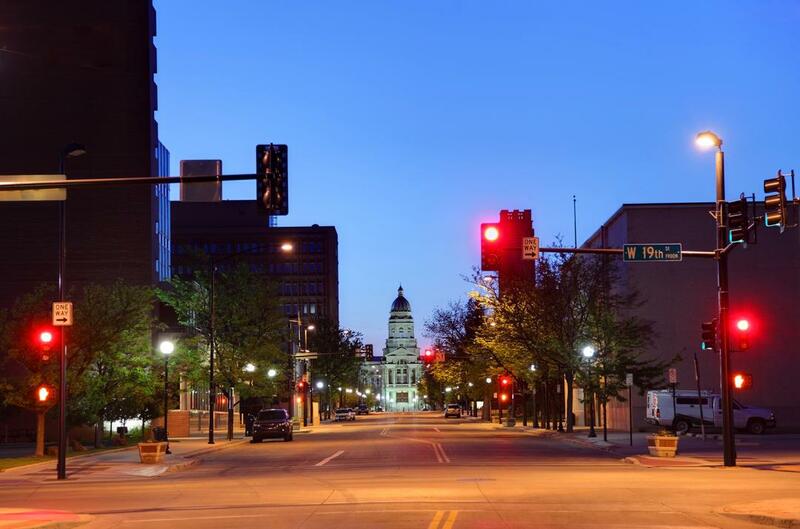 Be sure to stop by the Fireside Lounge for a nightcap after a day of exploring Cheyenne, Wyoming. With 19,000 sq. 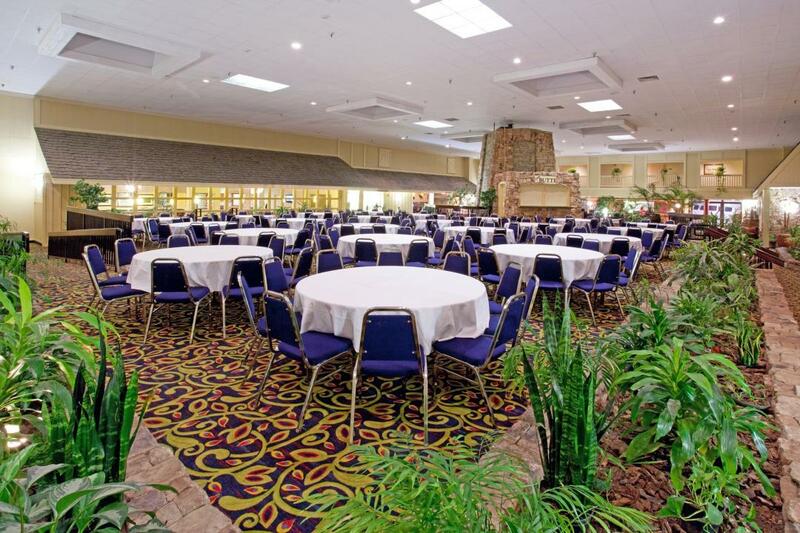 ft. of versatile meeting space, catering services, and complimentary high-speed Internet Red Lion Hotel & Conference Center Cheyenne will make your next event one to remember. This modern hotel off Interstate 80 is a 4-minute drive from Cheyenne Depot Museum, 5 minutes from Wyoming State Museum, and 6 minutes from Cheyenne Regional Airport. At Red Lion Hotel & Conference Center Cheyenne, our complimentary shuttle runs from 7am to 11pm for stress-free travel to business appointments or local museums. Thanks to our business center and free Internet access, you'll find it easy to stay productive whether you're attending on-site seminars or off-site meetings in Cheyenne. 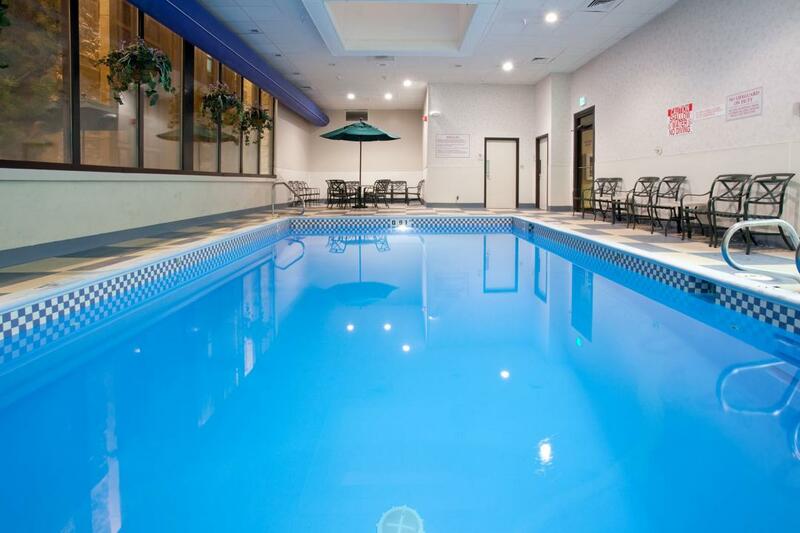 When you need a break, relax in our heated indoor pool. Wanting to explore the town for dinner? Tempt your taste buds at any of these nearby favorite dining spots. Rib & Chop House, 1 mi. Sanfords Grub & Pub, 1 mi. The Egg and I, 2 mi. Buffalo Wild Wings, 5 mi. Indulge in an after dinner drink and a late-night snack at our Fireside Lounge, the ideal place to kick back with friends or colleagues at the end of the day. Stocked with more than 100 liquors and 50 beer and wine options, the bar offers plenty of drink choice to satisfy any plate. Hungry? Try our bar menu for things like burgers, sliders, salads, and appetizers. Feeling adventurous? Try one of the bar's signature drinks with tantalizing names like VooDoo Juice, Rumchata Colada, and Wyoming Mule. Enjoy the laid-back atmosphere of our on-site restaurant, Sandalwoods Restaurant, for a country home style meal serving breakfast and dinner. Be sure to try our signature dishes, the prime rib or cowboy-cut steak dinner, our guests rave about them. Traveling to Cheyenne with a Group? Trust the team at Red Lion Hotel & Conference Center Cheyenne to produce flawless meetings and events that will leave your guests in awe. With 11 meeting rooms and 18,000 square feet of total meeting space, our Cheyenne event facilities can be expertly arranged to accommodate an intimate affair or a large gathering. You'll appreciate services such as access to audiovisual equipment, room blocks, full-service catering, free high-speed internet, and your guests will love our special group rates. Our event coordinators can assist you every step of the way to ensure that your event is a success. Whether you're exploring the area's beautiful mountains and parks or touring the ranches and railroad stations that made Cheyenne famous, make Red Lion Hotel & Conference Center Cheyenne your hub for adventures in Wyoming's capital city. Ride through downtown on a trolley for an easy way to see the city's highlights, and then find your inner cowboy with a trip to the Old West Museum. In town to visit a loved one at F.E. Warren Air Force Base? We're only three miles from the base. For family fun, be sure to visit the Cheyenne Ice & Events Center, offering mini golf, ice skating and more. Cheyenne Depot Museum, 1 mi. Cheyenne Civic Center, 2 mi. WY State Capitol, 2 mi. WY State Museum, 2 mi. Cheyenne Ice and Event Center, 2.5 mi. Laramie County Community College, 3 mi. Cheyenne Botanic Gardens, 4 mi. Cheyenne Frontier Days, 4 mi. Old West Museum, 4 mi. North Cheyenne Community Park, 7 mi.